The first cohort of Dyson Undergraduate Engineers is set to arrive on the Dyson campus in September 2017, but what sort of activities can they expect to participate in once their four years of employment and study are complete? If this video is anything to go by, sleep deprivation, excessive caffeine consumption and some serious code writing all form part of an activity that easily beats an ‘away day’ afternoon in the park playing baseball and sipping warm alcoholic beverages that are usually best served cold. Instead, these Dyson engineers in Britain and Singapore took part in a 24-hour event that demonstrated the sort of collaborative spirit required by companies that need to innovate in order to succeed. 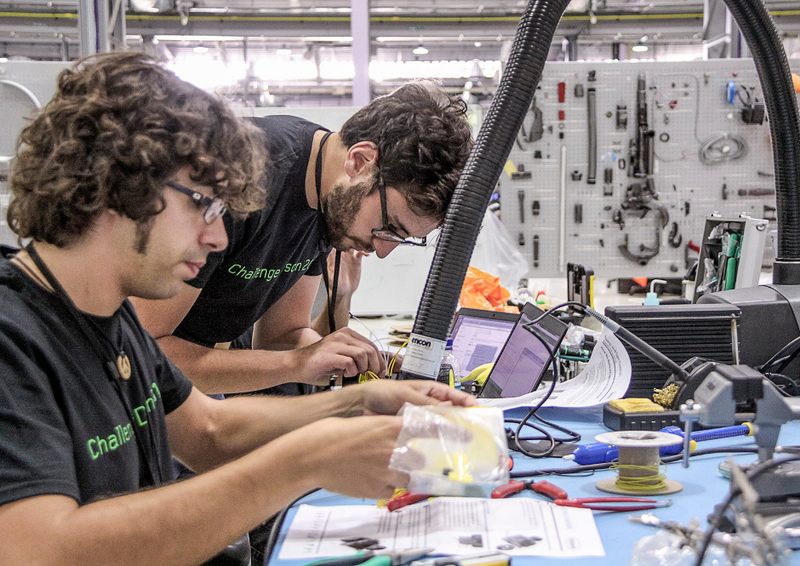 The Rapid Development Challenge required teams to design and develop an intelligent machine based around the themes of The Connected Home, Gamification of Dyson Products and Accessibility through Usability. In Dyson’s Research, Design and Development hubs in the UK and Singapore, 200 hardware and mechanical engineers teamed up with software and electronics engineers to take part in the digital codeathon. On average, participants slept for just two hours during the event, wrote over 6,000 lines of code, and consumed more than 500 energy drinks and coffee. The winning group in the UK modified a Jake Dyson CSYS light. They did this by augmenting its motors drive mechanism, connecting these to an Arduino electronics board and using computer programming to transfer data to the light. 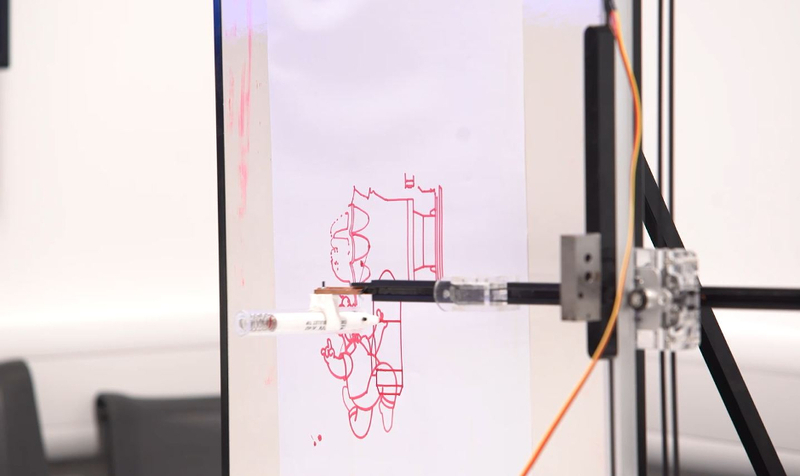 The result meant that the machine could register and draw highly detailed images, including a portrait of Jake Dyson himself. Other projects included smart home sensory systems able to detect individuals within different rooms using so-called cluedo algorithms, and virtual reality worlds which used 3D imagery mapping from pictures taken by a drone. One group built an app, which was connected to a Raspberry Pi, and able to play ‘I spy with my little eye’ with the user, by automatically selecting an object in a room and sending clues to a smart phone. Great product. I wish the next test to consider something much simpler. And Dyson already has much of the technology! The air-blade hand dryer? -valuable technology: how about modifying it for drying crockery, etc in domestic kitchens? Energy saving surely by comparison with the drying cycle of domestic dishwashers? I offer that free!